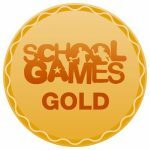 We are delighted to announce that we have been awarded a GOLD mark from The School Games. This is a fantastic recognition for the amount of sport within curriculum and extra-curricular time that we have dedicated to the subject over the last school year. In addition to this, the amount of tournaments entered and our commitment to ensure every child has the opportunity to participate in a variety of sports regardless of age or ability. We are very proud of this achievement. Congratulations Stratford St Mary Primary. My two love all of the activities both in and out of school. Hope to be able to come and watch some tournaments soon! Thanks – Sports Day next 14th July! Yay!! Well done Stratford st Mary! Thanks – we’re really pleased!